Doughnuts! Donuts! No one here matter about the correct spellings. As long as these donuts are puffy and sweet! Do you still remember my cinnamon sugar churros recipe? 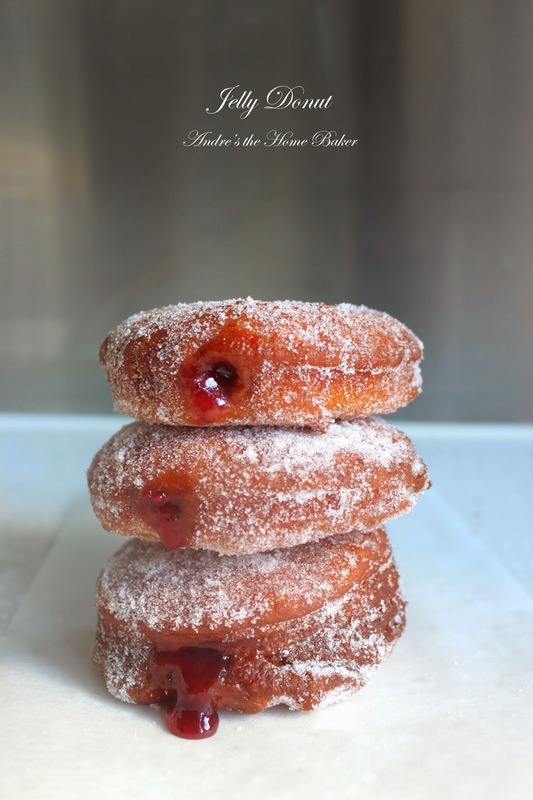 It is different from this donut recipe because yeast is added and the dough need time to rise before getting into the hot oil bathe. In a small bowl, add warmed milk and sprinkle over yeast with 1 tsp of sugar. Set aside. In a large mixing bowl, combine melted butter, egg, sugar. Add foamed yeast and whisk until incorporated. Add flour and salt, using a dough hook, mix and knead the dough for 4-5 minutes or until it is nice and smooth. Place the dough in a greased bowl and cover with plastic cling film. Place it somewhere warm and let it rise until double in size. It may take 2-3 hours. Once doubled, turn the dough onto lightly floured surface. Roll the dough into 1/2'' thick and using a 3.5'' cutter, cut out donuts and place them on floured baking sheet. Cover them with a lint free towel. Allow the donuts to rise double in size again. Meanwhile, heat a big pot of vegetable oil to 180C. Lower risen donuts into hot oil and fry them for about 3 minutes on each side or until puffed and golden brown. Take them off the oil and place on paper towel to drain the excess oil. Place sugar in a shallow dish and coat donuts, allow them to cool enough to handle. Fill a piping bag fitted with your smallest tip with strawberry jam. 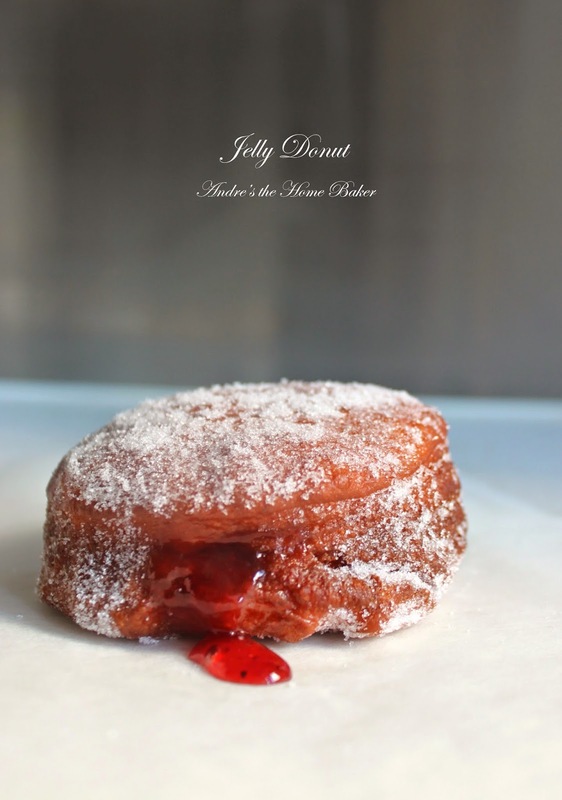 Insert tip into one side of the donut and fill the jam until halfway through the interior. Dip them again in sugar before serving. Recently got a request on making a sugar free high protein cookies. Alright I gotta figure it out soon. While constantly testing out all kinds of recipes (in mind), I tend to notice that riped banana will not only add sweetness to cookies, but also levels up the protein content. 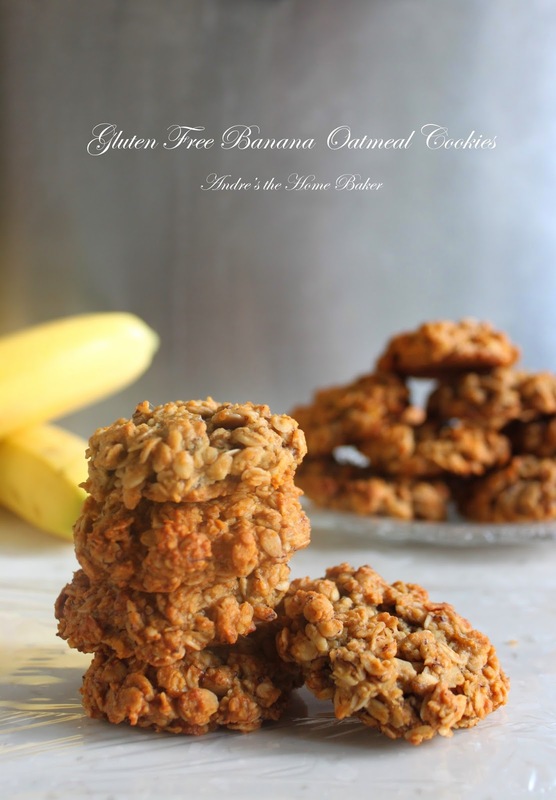 With the addition of using my homemade oat flour, these little cookies are absolutely gluten free! They are best eaten on the day when they're freshly made. After a day later, serve them in cold milk and you have an amazing banana bread like oatmeal/cereal breakfast! 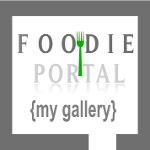 In the recipe I have used grapeseed oil. You can also use semi solid coconut oil for a coconut kick. I did exclude the egg yolk to healthify the GF recipe (that make sense right?) and made my own oat flour. *For a cup of oat flour, you will need equal cup of rolled oats and process them in blender or food processor until fine powder formed. That easy isn't it? In a medium bowl, combine flour, baking powder, baking soda and cinnamon. In a large bowl, add oil, honey, egg white, vanilla and mashed banana. Whisk until combined. Add wet into dry ingredients. Fold in rolled oats. Drop 1 tbsp batter onto prepared baking sheet and bake for 10-15 minutes, or until edges turn golden brown. Let cool and transfer to wire rack to cool completely. Don't know you, but I have a big obsession with tiramisu. The creamy mascarpone cheese layer with coffee flavor just excelled all other trifles or cheesecake, and personally I really enjoy my eggless version. 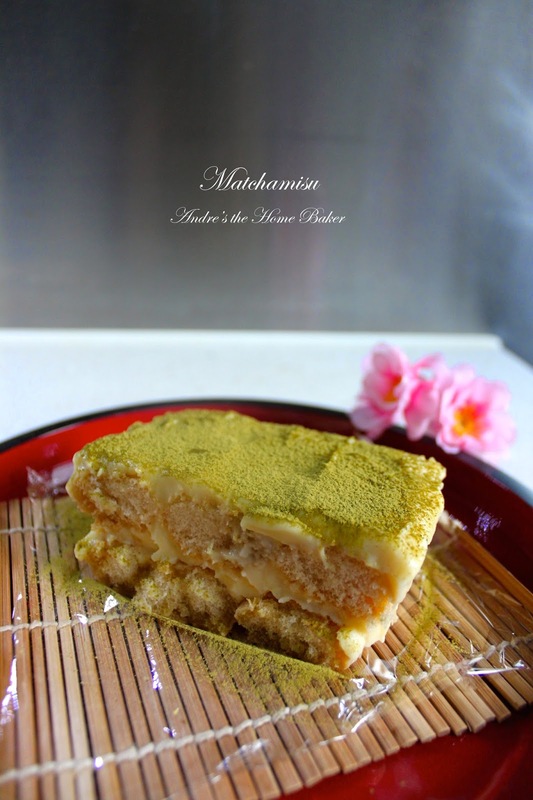 This week, I worked with my original tiramisu recipe again and gave it a Japanese kick! For matcha freaks out there, say yay! 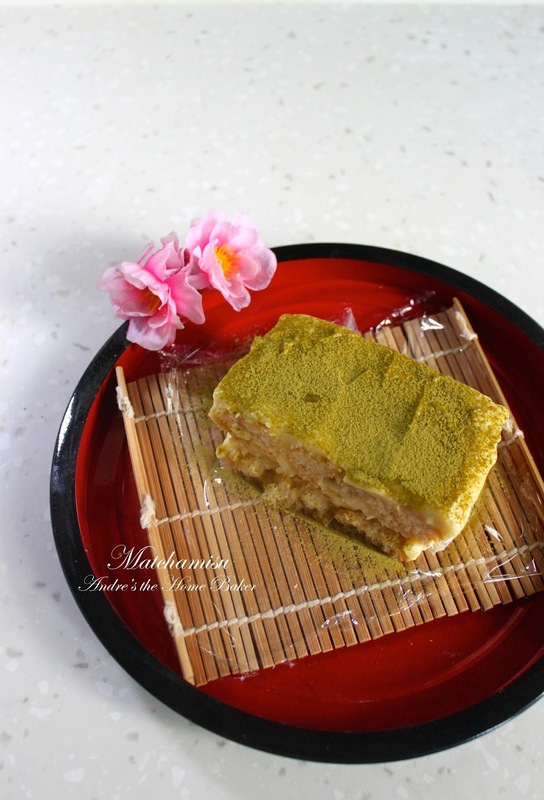 In this recipe, matcha powder is used instead of cocoa powder; a homemade matcha syrup is also used in replace of coffee. I have also tried a condensed milk version and if your trying out this recipe, watch out for the level of caffine! Prepare green tea syrup, dissolve green tea powder, sugar and rum in hot water. Set side to cool. In a medium bowl, cream together mascarpone cheese, condensed milk. To assemble, place lady fingers and spoon syrup over them. Dollop cheese mixture on top. Repeat the process until final layer of cheese and dust with matcha powder. Chill overnight, scoop and serve. 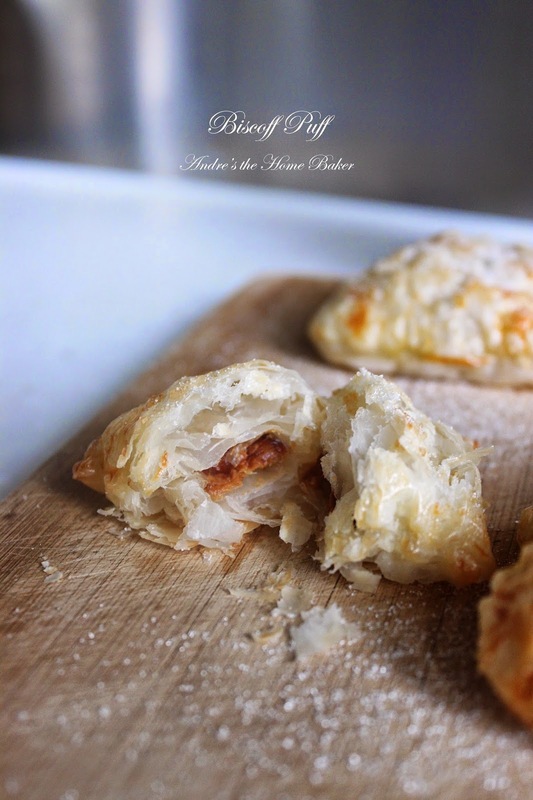 Cut puff pastry into desired shape using cookie cutter. I used heart-shape here. 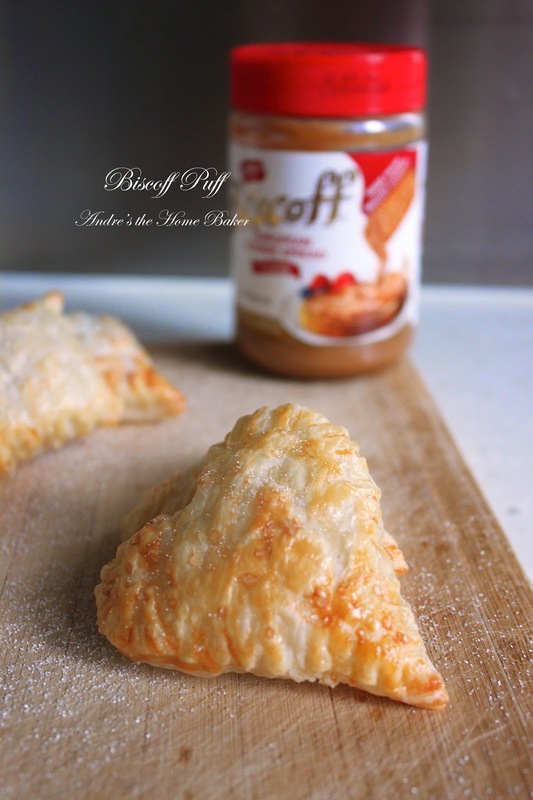 Spoon 1 teaspoon of biscoff or cookie butter spread in the centre of your cutouts. Brush the edge with egg wash and place another cutouts on top. Seal by pressing down with a fork. Brush the top of pastries with egg wash, bake in preheated oven for 15-18 minutes or until puffy and golden. Garnish with powdered sugar, serve with vanilla ice cream if desired. Haven't been making snickerdoodles for a while. They are butter cookies that been rolled in cinnamon-sugar (just like churros). Soft, chewy, and spicy! 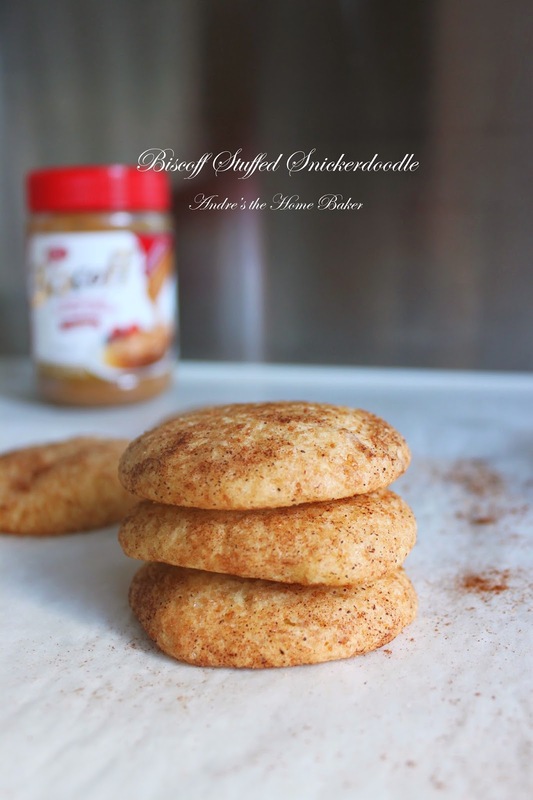 I have made gingerbread snickerdoodles before with a gingersnap base cookie dough. This time I have alternated them a bit for the basic kind with biscoff stuffed in them. 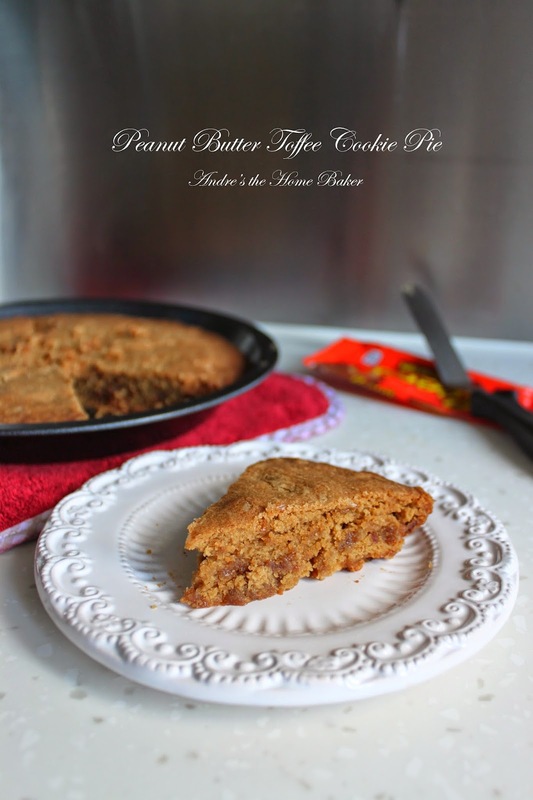 These cookies are just as good as my no bake biscoff cheesecake pudding! And of course can beat my biscoff biscotti too! 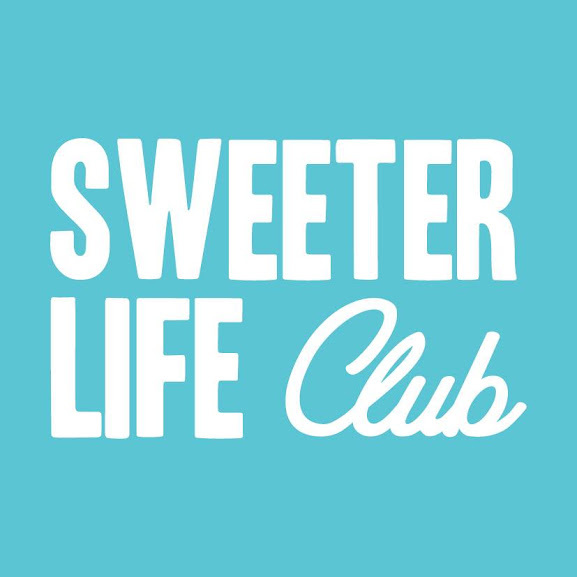 In a large bowl, beat butter and sugar until fluffy. Add egg and vanilla, mix until combined. Add flour, cream of tartar, baking soda and salt. Beat until dry ingredients are fully incoperated. 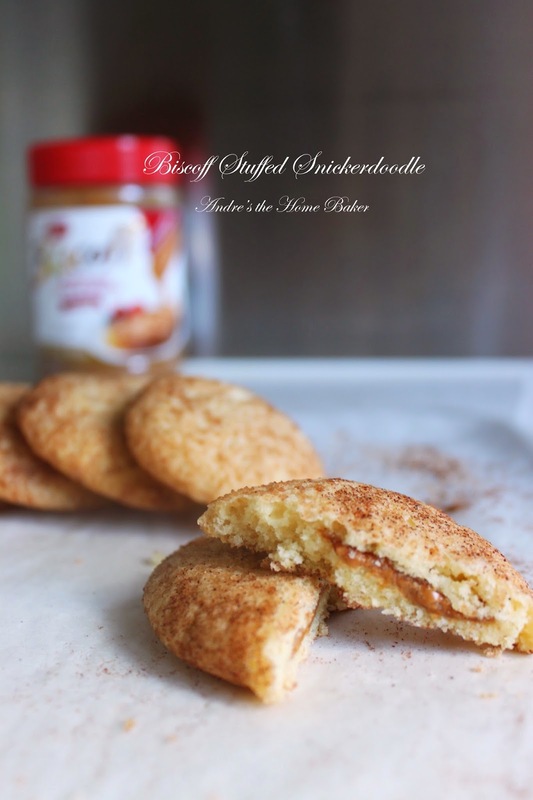 On a small plate, combine the 2 tablespoon sugar and 1 teaspoon cinnamon. Scoop 1 1/2 tablespoon size dough and divide into half. Flatten halves into disk-like shape. Drop 1 teaspoon of Biscoff into the middle of one disk, place another half on top and pinch the side to seal the edge of cookie. Roll the cookie dough in cinnamon-sugar mixture and place on prepared baking sheet. Bake cookies in preheated oven for 10 minutes. Let them rest on the baking sheet for 2-3 minutes before transferring them to wire rack to cool completely. I haven't been making cookie for a long time. Obviously was too lazy to scoop each cookie dough on baking sheet and bake them batches after batches. 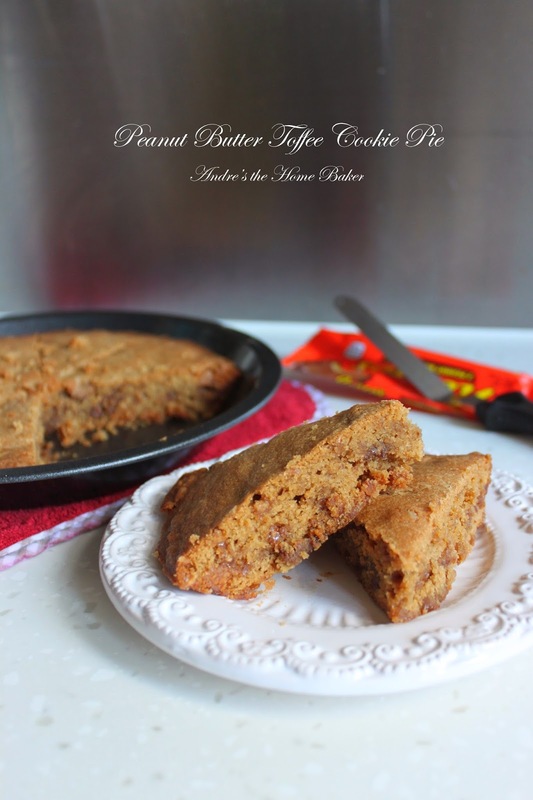 But this cookie pie has an exception because the dough all goes into the same pie plate and bake! And it tastes just as soft chocolate chips cookies. Replacing with nuts may perhaps give you cookie tastes like this one too! This cookie pie is served in wedges, and for further indulge, top with a scoop of high quality vanilla ice cream. Drizzle more melted chocolate, sprinkle more chopped nuts, and WOW! This dessert is Superb! Preheat oven to 180C. Grease a 9-inch pie plate with baking spray. Set aside. In a small bowl, combine flour, baking powder and salt. Whisk until blended. In a large mixing bowl, beat butter and sugar until creamy. Add egg and vanilla, beat until smooth and blended. Slowly add flour mixture and beat until incoperated. Add toffee bits and chopped peanut butter cups. Fold using a spatula. Scrap cookie batter into prepared pie plate. Spread the top evenly and sprinkle more toffee bits on top if desired. Bake in prehated oven for 30 minutes, or until toothpick inserted into center comes out clean. Remove and let cool completely. Cut cookie into wedges and serve warm or at room temperature with a scoop of vanilla icecream.